What do mums think about inflatable home cinema? 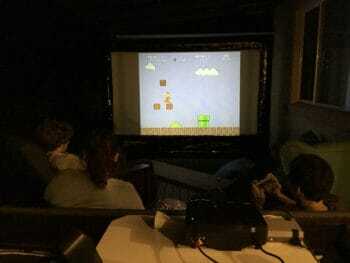 We asked three prominent Australian bloggers to review HandiTheatre® backyard home cinema, and to tell us what they think about it. We were lucky to have our HandiTheatre® reviewed by Retro Mummy Corrie, a mum of a big family, who does it all – home schooling, baking, crafts. She also writes fabulous stories on her blog – we find her posts on home schooling especially interesting. Maraya knows stuff mums like, and she writes very funny and engaging stories. Take her Elf on the Shelf story – if you are good, he will tell Santa to bring HandiTheatre® to your family! We also love her travel blogs with useful tips on travelling with kids. Who would need an outdoor theatre? Is backyard cinema easy to setup? Can any mum do it? Would they use HandiTheatre® more than just for an occasional movie night? What would be their practical advice if you decide to buy one? Going out to watch movies with your big family costs an arm and a leg. 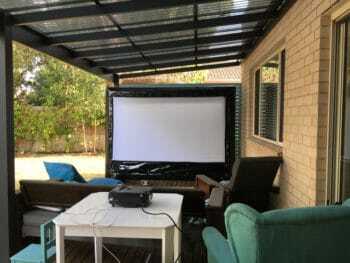 With backyard home cinema, you can enjoy the big screen outdoors….without leaving home. Is backyard cinema easy to setup? “Setup is SO easy! I was dreading it, but I managed to do it entirely by myself, even with kids bugging me – yes it’s THAT easy!” – That’s what Oh So Busy Mum thinks. “It also helps to have a handy husband on hand (or a techhead son) to tell you to turn the sound bar on when you can’t work out why there is no sound coming out.” – comments Retro Mummy. There’s nothing better than involving children in setting up the outdoor cinema – This experience teaches them responsibility, and allows them to grow their self-esteem. Yes, there are things they can do better than their mums! Would they use HandiTheatre® more than just for an occasional movie night? Absolutely. We have seen plenty of ideas, from parties by the pool to home schooling. “I also have big plans for some mums’ night in movie nights with all my friends on the deck over the summer. We will start the evening off with a swim in the pool and then head off to the movies! It’s the perfect way to hang out!” – That’s definitely the Stuff Mums Like. “it’s great for big families, extended families, having the neighbours over, birthday parties, homeschool groups, class movie nights and more. I’m also thinking it might be the way I can get some of my homeschoolers to watch some more documentaries and interesting movies as part of our studies. You can also play computer games on it so I’m thinking Just Dance will be even more fun outside and on the huge screen. 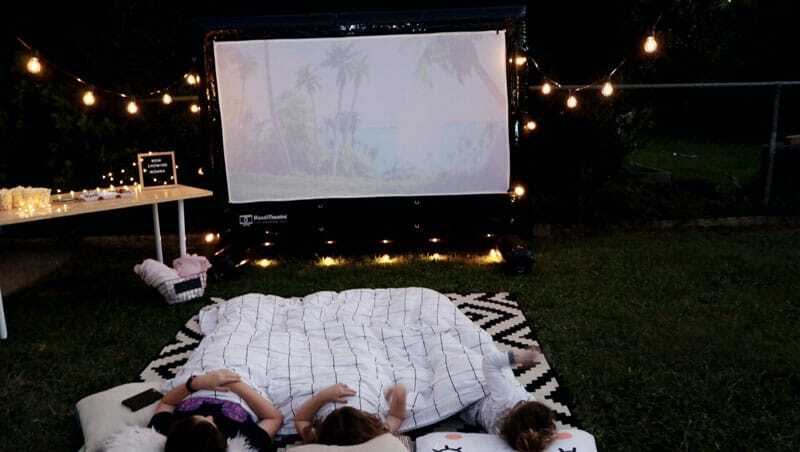 Once you have an outdoor cinema the kids find lots of reasons to get outside and watch a movie and it’s a nice way to spend the night.” – shares Retro Mummy. All in all, both mums and kids loved outdoor cinema experience. You can enjoy it too – prices start from $749 for complete entertainment package. HandiTheatre® is a Christmas present which will bring your family together and will give you the gift of many fabulous family nights to remember for years to come.